EDMONTON - A member of the Alberta legislature who was cleared of conflict of interest after he tried to get rule changes to help his home-building company hasn't pursued any further lobbying efforts in the matter, cabinet minister Manmeet Bhullar said Tuesday. Bhullar confirmed that Peter Sandhu has not asked him or his officials to make legislative changes to prevent "vexatious" liens since a ruling earlier this month by ethics commissioner Neil Wilkinson. Wilkinson found that Sandhu didn't violate ethics rules when he lobbied for the changes, because other home builders would have benefited as well. Bhullar, minister for Service Alberta, wouldn't say what his response would be if the Independent backbencher decided to renew his lobbying efforts. "I don't answer hypotheticals," said Bhullar. 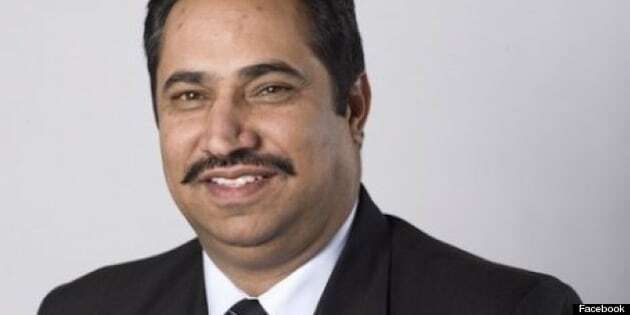 Sandhu, who represents Edmonton-Manning, stepped out of Premier Alison Redford's Progressive Conservative caucus in May when the ethics issue surfaced in a report on CBC-TV. Wilkinson said in his report Oct. 17 that Sandhu began to approach politicians and bureaucrats after he was elected to the legislature in 2008 about changes to what he termed "vexatious" liens on his company, NewView Homes. Wilkinson acknowledged several Service Alberta senior civil servants felt Sandhu was "inappropriately trying to use his office as a member to further the interest of his business venture, NewView." But Wilkinson ruled the actions were acceptable given Sandhu believed the changes would benefit other home builders, too. Sandhu is now free to ask for reinstatement to the Tory government caucus, but hasn't done so. He was not in the house for question period Tuesday and was absent for the first day of the fall sitting on Monday. He could not be reached for comment. Tory whip Steve Young said there's been no request from Sandhu to rejoin the caucus. Redford has declined to address the concerns voiced by Bhullar's staff to Wilkinson about Sandhu's lobbying. "Do you share those concerns?" Redford was asked a day after the report was released. "We've reviewed the decision of the ethics commissioner, and I am pleased to see that the ethics commissioner has taken the view that he has, that Mr. Sandhu operated with honesty and integrity." she replied. "That's the final finding and so we're going to proceed on that basis,"
The opposition parties say Wilkinson's ruling flies in the face of common sense and opens the door to politicians who want to lobby for their own pet interests. On Monday, Wildrose deputy house leader Shayne Saskiw invoked the ire of Speaker Gene Zwozdesky when he called the rules "junk ethics legislation." "Clean up your act, honourable member, or we will deal with the consequences of not doing so," Zwozdesky rebuked Saskiw. NDP Leader Brian Mason suggested Tuesday that it was Zwozdesky, a PC MLA, who overstepped his bounds. Mason said parliamentary democracy means politicians should have wide latitude on what they say in the house to encourage free and frank discussions that, while ugly and demeaning at times, are deemed the best way to serve the public interest. Mason said rules dictate the Speaker should only get involved when the house can't function, such as when there's so much opposition heckling, someone who has the floor can't be heard. "The Speaker should not be making up rules. He should be enforcing the ones that are there," said Mason.